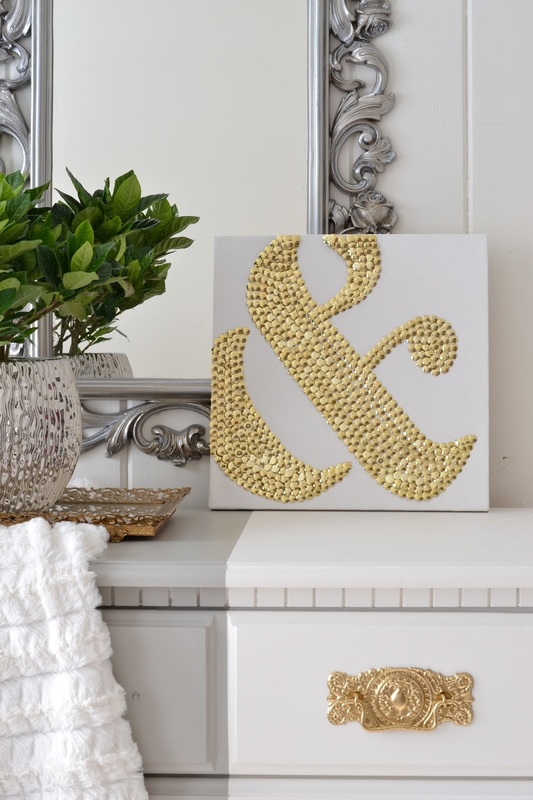 LiveLoveDIY: 10 DIY Art Ideas: Easy Ways to Decorate Your Walls! There are very few things I love as much as art, and I don't think you have to be Picasso to create something worthy of hanging on your walls. 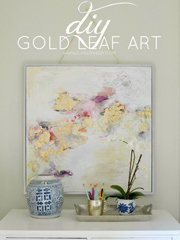 Buying art that you love can often be really expensive, and if you're like me, you need other options to decorate your naked walls. Here are 10 of the ways that I've created my own art in the past year. Enjoy! 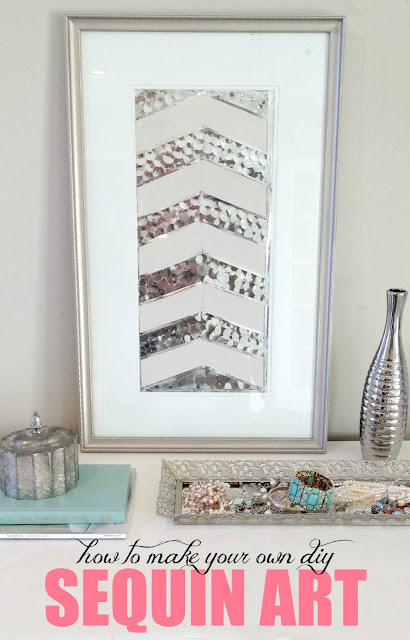 I made my DIY sequin art from an old piece of thrift store art, and when you see how outdated it was before, you'll understand why it's my favorite. 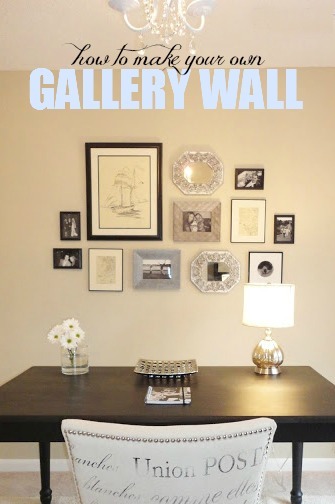 I created a gallery wall in my office by combining a couple small mirrors, a sailboat print from the thrift store, black and white photographs, and some framed maps. 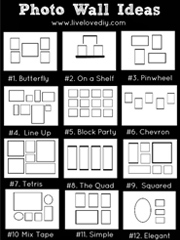 I have a really handy trick that helps me create layouts for my gallery walls that you can read about here. 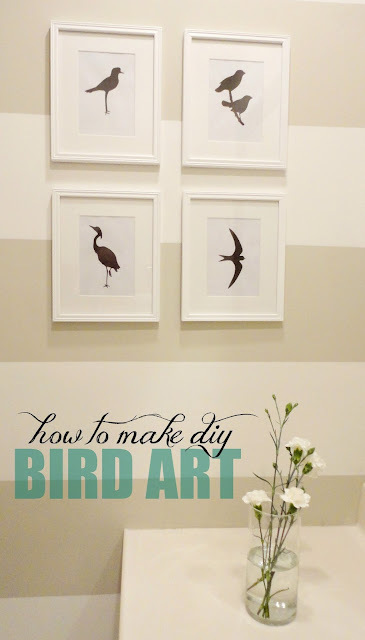 I created my bird art for free just using my printer. All I did was search for 'bird silhouette' and print in black ink. More on that situation here. 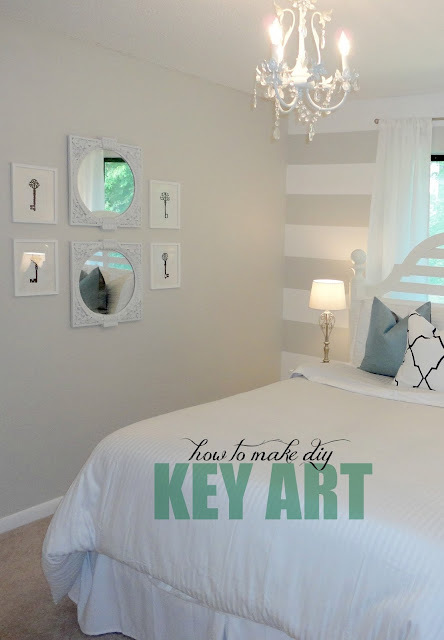 For the art wall in our guest bedroom, I made key silhouette art using a permanent marker. I blame it on the pillow. It sent me down the Sharpie wormhole. For the gallery wall in our living room, I created a fun art series of deer and antler silhouettes, again by just using my printer. I created this DIY flower art for our guest bedroom. And I'm willing to wager that you won't be able to guess what I made it out of. I made some fun art for our kitchen using leftover paintchips. 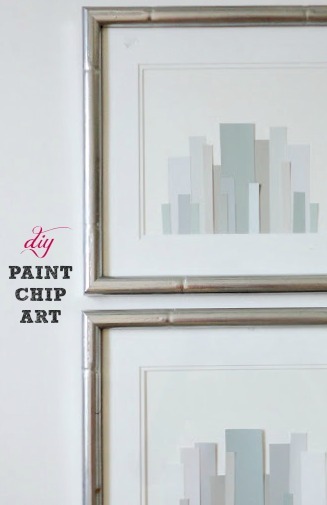 It's such a great way to use all of those leftover paint chips you've been hoarding in your junk drawer. I've used this next idea several times. If you ever need to make large scale art, a really quick and easy way to do it is to use a stencil. More info here. 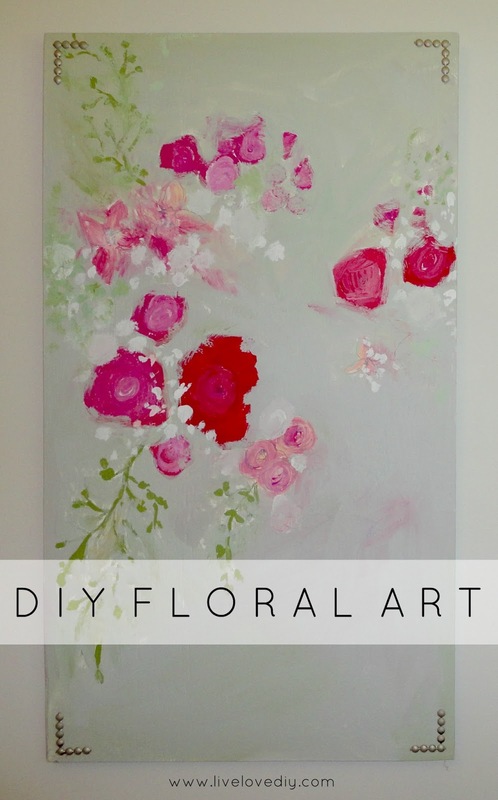 This piece was fun to make and inspired by a Horchow painted dresser. 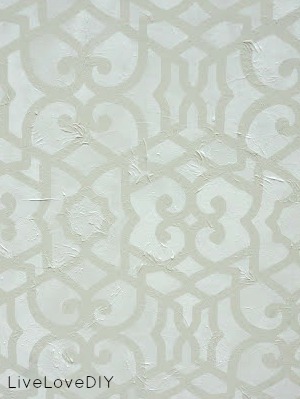 I made this one by using masking tape and a large canvas. If you don't want to use art, you can always hang a mirror with a fun frame instead. I took one of my plain black mirrors and completely transformed it by spray painting stripes on it. You can see the full tutorial of how to do it here. This is my latest artwork and it might rival #1 as my favorite. I made it just using thumbtacks and a plain white canvas. You can see the full ridiculous tutorial here. And that's all for today, ya'll! Thanks so much for stopping by! 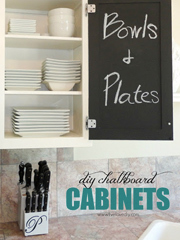 If all goes well, I'll be back soon to share our kitchen makeover. Oh my gorgeousness, V! You are wicked talented...I love them all! 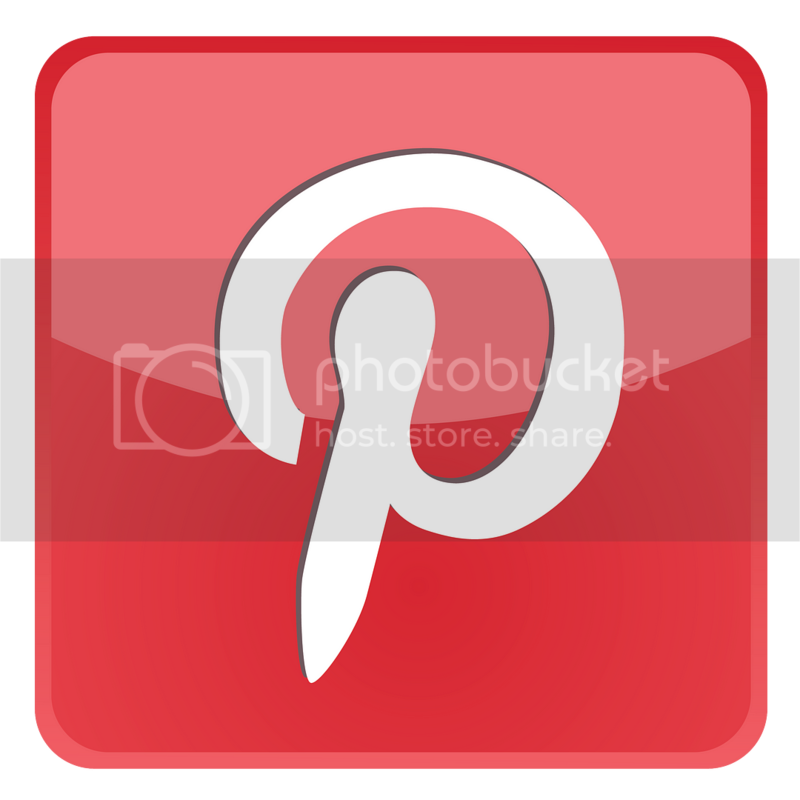 Pinning right now! Hello Wall Art -- Sparkle my home up will ya?! Love this big V! Whoop Whoop! ha! I loved that you called me Big V! My husband's buddies always call me that! ha! Very nice... wish I could pick a favorite, but I like them all. Can I come live with you? Everything is so pretty! Thanks Ann! I'm partial to the birds myself!!!!! Thanks so much! There are some totally great ideas here! You're the bomb when it comes to cool/easy/fun art! I have several 'art prints' hanging in my house too that people say "Where'd you get those?" They're simply printed botanicals (I'm partial to botanicals) from a program that was installed in my old computer! Easy peasy ;-) OK..I did tweak them with special effects too but anyone can do that too! Another tip: See something in a magazine that really strikes your eye? Frame it! It's instant art for sure :-) One of my most favorite things is a magazine photo of a large rug with a very simple design. For some reason it just speaks to me so I made a simple construction paper double mat and framed it. Hope you find time to get back to doing your paintings like you showed us earlier. They're super! 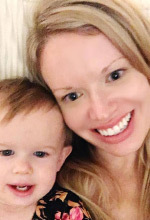 Okay, I'm SUPER excited that I came across your blog today! I may just spend my entire Friday evening perusing your blog. I can't get enough of it! I really want to try the skeleton key thing! That is too cute! 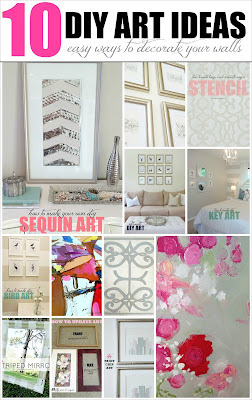 Love the sequence wall art. Can't wait to try it. LOVE YOUR HOME!!!! 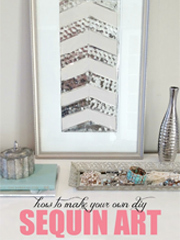 I really want to recreate your chevron painting! What colors did you use? Any advice/tips greatly appreciated! 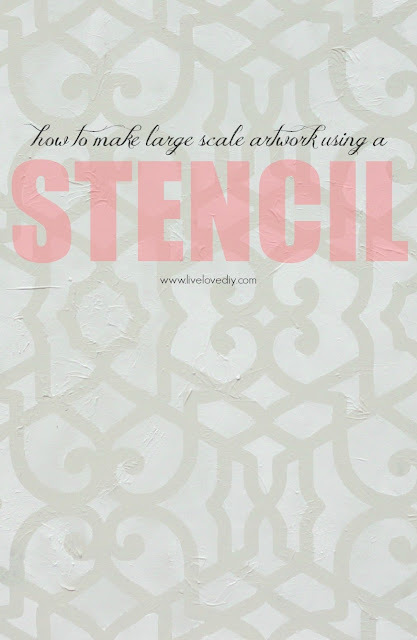 I love your colors and will have to try a few of your Easy Wall Art ideas! You have done great work you have done, i love your work, and all the DIY wall art ideas are quite unique and easy for making. I like all the work that done by you but the Antler Gallery Wall art is awesome. Many thanks for sharing this interesting post. I love the various gallery walls, especially the antlers and the feathers. 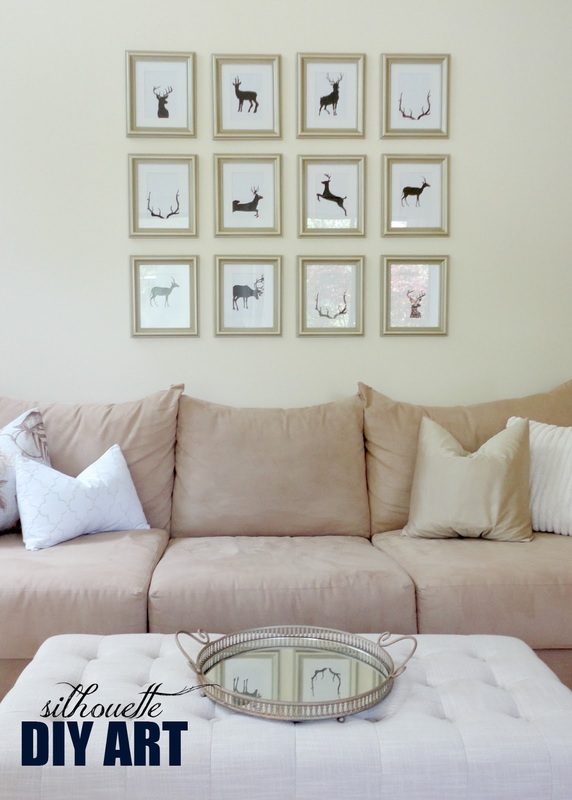 Wall arts are looking very attractive on the wall, Deer themed wall art collection is really awesome, i enjoyed your post keep it up..
Lovely ideas! They all have such a great classy and modern vibe. The is just the BEST Blog!! 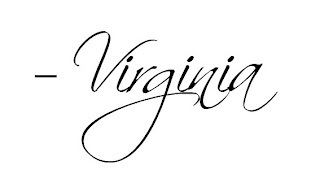 Thank you Virginia from your 65 year old age group! These ideas are so sophisticated and well explained! I'm so excited to find this sight! Good Wok! Best Wishes and Blessings. I think it's hammer time!!!! Virginia, these ideas are so creative and beautiful that I went home and actually made some of them. 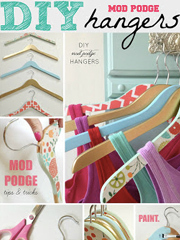 I hope to someday have a blog (and a home!) as beautiful and popular as yours. Thanks so much for the inspiration!